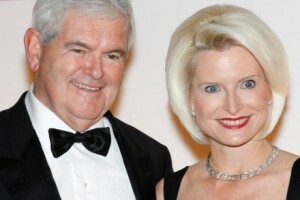 The reporter who conducted that interview, ABC Chief Investigative Correspondent Brian Ross, told WMAL’s Morning Majority program that Marianne Gingrich claims her ex-husband wanted an ‘open marriage.’ “He came to her and said, ‘I want to stay married to you and still have an affair with Callista, his current wife,” said Ross. “According to Marianne, he said ‘You need to share me,’ and she said ‘I don’t want to share,’ and the marriage ended,” he added. That’s right — not only was Newt schtupping a staffer while sanctimoniously railing (and leading the impeachment charges) against President Bill Clinton for similar conduct, but once he could no longer conceal the affair, the Speaker had the temerity to demand that his wife “share” him with his mistress. Unbelievable. And this is the man who’s trying to tell me I can’t have even one marriage? That HIS marriage has “sanctity” but MINE does not?! ?